It happened. We had the ultimate cute niece alert. Now we have two little adorable ones to look at! 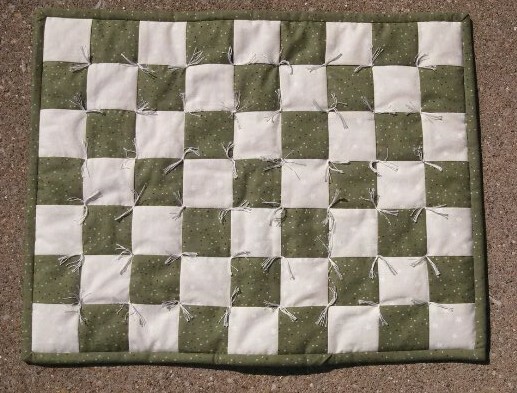 I decided that the oldest niece needed a little bit of attention, so I whipped up this little quilt for her. 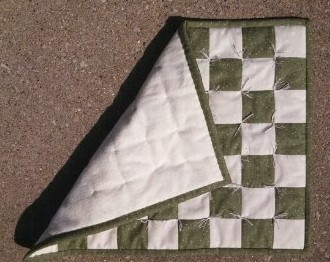 The fabric is left over from the quilt that I made her when she was born, so hopefully that will add to its meaning some day. It’s just the right size for a doll or stuffed animal. In this case, I expect it will be used for her teddy bear, Chocolate Cake. Given that she was strapping him into the baby’s swing the other day, I think that’s a pretty safe assumption. He’s pretty special to her, and she’s pretty special to us. 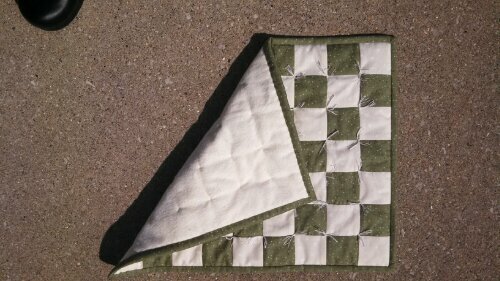 I hope she enjoys this little quilt to keep him cuddly!